The relationship between the European integration process and the transatlantic alliance has fluctuated over time but has always been crucial for security on both sides of the Atlantic. It is shaped by common values and interests as well as geopolitical and economic factors. Behind the developments in the relationship between the EC/EU and NATO lies a fundamental question: How can the geopolitical, economic and security interests and aspirations of Europe and of the United States be best coordinated and most successfully enforced? The successes or failures of cooperation between the two organisations reflect the underlying changes in the nature and substance of the transatlantic relationship. It is this relationship which is seriously challenged and may be heading towards its deepest crisis yet. The economic and geopolitical contraction of the West, as a result of great global power shifts, should have been addressed by the West improving its cohesion and resolve. Instead, growing uncertainty, unpredictability and mixed messages, as well as growing mistrust on both sides of the Atlantic risk deepening divisions as well as further disintegration. Two areas of division, seemingly independent but in reality interdependent and mutually reinforcing, are threatening the alliance. One is the security-related geopolitical divide, and the other is cultural and ideological in nature. The security issue can be summarized in a simple question: is the concept of mutual defence still unconditional? Statements about defence commitments vary depending on who is making them and when. Uncertainty increases and decreases accordingly. Public opinion grows more confused and mutual apprehensions and recriminations are on the rise. On the European side, some think that the “ugly American” has returned creating a more serious risk to global security than the adversary the NATO alliance was originally created to defend against. On the American side, anti-European sentiment is growing stronger, albeit frequently disguised as “benign concern” for Europe and expressed by those predicting the collapse of the European Union. Both visions border on absurdity but are in reality having an impact. Mutual apprehensions may create a negative spiral of mistrust and animosity with potentially serious geopolitical and security consequences. The second issue, the cultural divide, is much more complex and more difficult to identify. The nature of the divide itself is often either simplified or exaggerated. Presently, the trendiest line of separation is drawn between the isolationist, nativist, nationalist populists and the internationalist, globalist, progressive liberals. 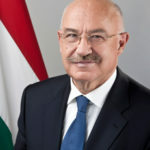 One of the problems with this oversimplified division is that significant numbers of people – who believe in a collective national and European identity rooted in historic legacy, are “social conservatives” holding traditional values whilst advocating a free market economy, multilateralism and free, fair and rule-based international trade – do not know where they fit in this artificial, pointless divide. The damage caused by cultural disintegration is twofold. It further reduces the cohesion of what we call the Western world, weakens its economic weight and its geopolitical clout. At the same time, it significantly reduces our cultural attraction. This is an area where the West is still, by far, the strongest in a global game which is increasingly multipolar and decentralized. First, the NATO alliance and more generally the West should restore its self-confidence. Stop the ongoing self-flagellation, self-defeating language and perennial references to its supposed Untergang. The West has to accept and believe in its cultural heritage, identity and values, and never forget that ‘it is culture that matters’. Second, once individual self-confidence is restored mutual trust can, and must, be re-established. The West must stop blaming and stigmatizing and control excessive language. Third, recognize and be fully aware of the close interdependence of security, geopolitics, geo-economics, trade, technology and, first and foremost, culture. In the global system, where all subsystems are interrelated, security and trade are particularly intertwined and have immediate impact upon one another. If one entity pulls out from a trade scheme, there will be immediate geopolitical and security consequences for all. In the same way, things are also geographically interconnected. Whatever happens in one continent or region will have immediate repercussions everywhere else. Fourth, establish “strategic autonomy” for Europe and, more particularly, for the European Union. While the meaning of this autonomy still needs to be clarified and more precisely defined, the good news is that first steps have now been made in the right direction. The European Commission’s Reflection Paper on the Future of European Defence, especially its ‘scenario C’, could provide a good basis for further work. If it is the case that Europeans genuinely want to take greater responsibility for their own security, Article 42 of the Treaty on European Union must be fully exploited and a common defence policy, leading to a common defence, will have to be established. Fifth, the cooperation between EU and NATO should be raised to a qualitatively new level. 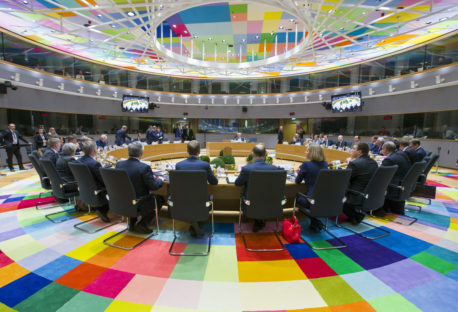 On the one hand, the “protection of Europe would become a mutually reinforcing responsibility of the EU and NATO”: on the other hand, cooperation between the two organisations should be substantially improved along the lines of the ELN Group Statement of Support for EU-NATO Collaboration made by 62 European leaders on 17 May 2017. Particular attention should be paid to the suggestion that the goal of collaboration is to achieve real world effect and not simply political effect. 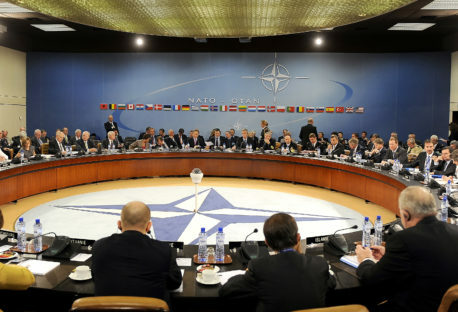 Sixth, NATO should be developed and better adapted to the new security situation and future challenges. What we know about hybrid war, cyber-attacks, terrorism and all kinds of asymmetric threats might be outdated, due to the singularly rapid development of technology and its use by state and non-state actors. Not only are threats becoming increasingly unconventional, but warfare may take on entirely new forms in the future. Seventh, confronting successfully the traditional as well as the new known and unknown challenges and threats needs a more balanced alliance in respect of burden sharing, defence capabilities and responsibilities. At the same time, obligations of member states of NATO and, in particular, an unconditional commitment to the fundamental principle of mutual defence, must be unambiguously reconfirmed, in order to dispel uncertainties and distrust. This will not be possible without following the above propositions. Some say history repeats itself, but we do not learn from it. Others say history does not repeat itself, but we learn from it. The European integration process, despite the ups and downs, was successfully developed, deepened and broadened over 60 years. 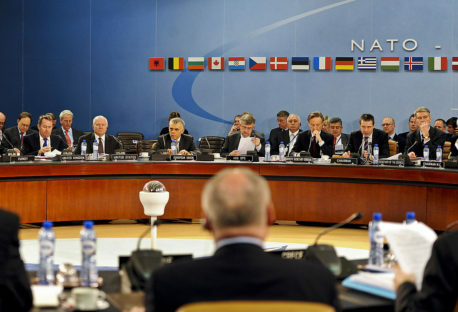 NATO has proved to be the most successful security organisation in world history to date. Now is the time to connect the two pillars of a partnership based upon a cultural heritage and value system of which we should be more proud. In that way, history will not repeat itself, but we will be able to say that we learned from it. The opinions articulated above represent the views of the author(s), and do not necessarily reflect the position of the European Leadership Network or any of its members. The ELN’s aim is to encourage debates that will help develop Europe’s capacity to address the pressing foreign, defence, and security challenges of our time.